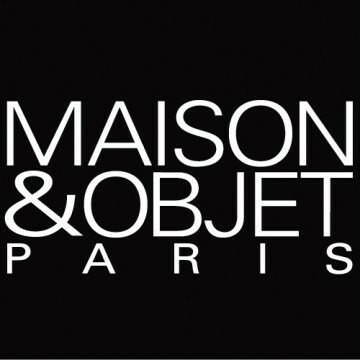 While the upcoming NYIGF spurs interest in the US, the Maison & Objet show in Paris is more than worthy of attention. The show starts today and runs through January 27th. The French show welcomes designers and visitors from around the world and is massively impressive in scale and detail. This year, Maison & Objet pays homage to German born designer and artist Karl Lagerfeld. His vivid style and freethinking expression is a perfect fit for the shows’ self-proclaimed influences. Organizers explain this year’s influence as the idea of home as a refuge- a place to express individual taste and take comfort in the positive energies released by self-expression. On this note, one of the highlights includes Cuis’in Nature, a kitchen that grows its own fruits and vegetables. The innovative kitchen questions the relationship between who we are and what we eat and is the brainchild of Matali Crasset and Frederick e. Grasser-Hermé. Further questioning the curiosity of everyday living is Souper Fin, an exhibition curated by Philippe Di Méo of French tableware; its theme explores and underscores the natural affinity between fine cuisine and sensual eroticism, with videos by artist Sabine Pigalle. Talents á la Carte introduces six young designers and their fresh take on home design. As much as we wish we could be there, we are extremely excited to see the newest products that come out of this amazing Parisian show!